It may have taken Apple a few years to finally adopt NFC on its smartphones, but now that it's here, the company is running with it. Apple's NFC-powered payment system, Apple Pay, officially launched a week ago today, and a new report from The Information says more NFC abilities may be coming. 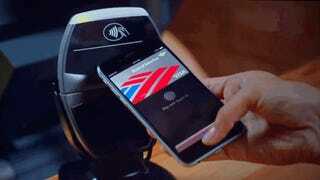 The Information says that Apple is in talks with companies to bring iPhone NFC integration to other arenas. Ones specifically mentioned by the report are building security access and public transit. "People briefed on the discussions" confirm that Apple has spoken with HID Global and Cubic, two companies affiliated with security and transportation technology. If the iPhone can somehow make New York transit stress-free while also letting me ditch the security fob on my keychain, I'm all for it. We reached out to Apple regarding the rumored talks, and the company has declined to comment.